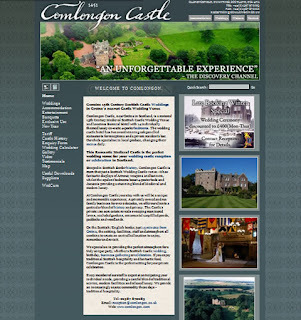 The Comlongon Castle wedding calculator has been updated and restored to display more information on each of the wedding and accommodation options and this is now updated again with the new additions for seat covers (to customise your wedding banquet) and the Honeymoon Lodge. The castle now has a new Honeymoon Lodge in the castle grounds. This is complete with underfloor heating and is decorated with sculptures by Lucianne Lassalle and interior design by Jason Shackleton.